Hello there, WOW !!! is all I can say right now. 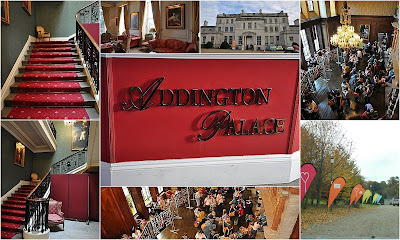 I have returned from our second Convention in London and what a fabulous time I had. Convention was an utterly fabulous experience that I will treasure for many years to come. 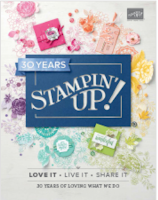 As always Stampin'Up! thought of everything to make our experience an unforgettable one. And it was so fabulous not only for the freebies, the wonderful inspiration shared though hundred of brilliant swaps, the useful presentations, the main events presented on stage or the awards I achieved, it was made extra special by all the people I got to spend some time with over this last few days most of all my team. We had a great time together learning and sharing and cheering. It was also nice to meet those that read my blog and have emailed me in the past, my French demo friends and my German ones, thank you for taking the time to stop and chat with me, I appreciate it and it made Convention even more special for me. The Venue was amazing, it was held at Addington Palace in Surrey stunning place. As we pulled in the car the path way was lined with those lovely bright signs delivering of our messages Inspire, Create and Share. 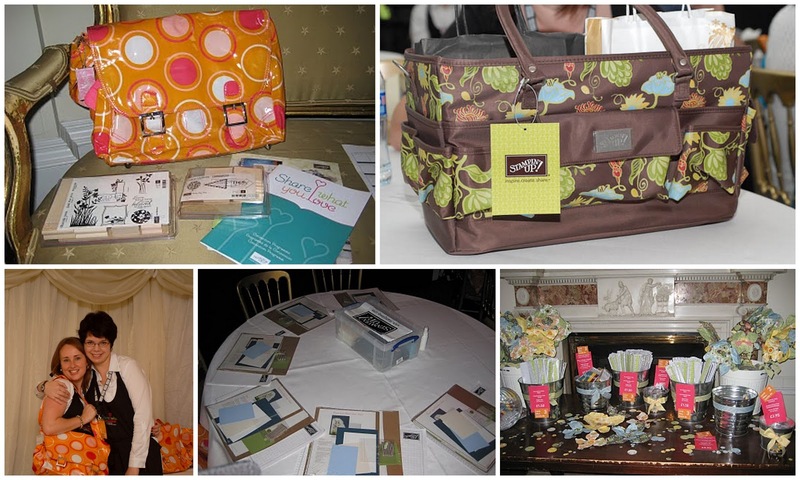 Top left the bag and is contents, next a gorgeous craft tote that matches our Gala designer paper, bottom left Kelly and Jasmin staff at SU modelling the bag, the make n take table all set up ready for us, and a gorgeous display in the Memento Mall. UK, French and German demonstrators were chosen to present some gorgeous projects on stage and my downline Jules was one of them. 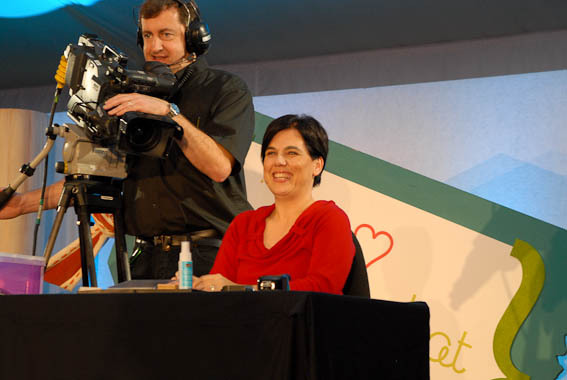 She was such a superstar, came across really well and had the whole room in stitches. Here she is having a blast, behind her you can see Chris, her very well behaved assistant/cameraman, who she blamed for shaking the camera to much and making her appear nervous, what a hoot she is. Awards night came far too quickly and it was as lovely and special as last year. Everyone dressed up and looked stunning, there were a lot of exquisite sparkly dresses, fabulous jewellery and shoes. I nearly lost my voice from all the whooping I did seeing my team and my friends being recognized on stage. I was so happy to rank as number 3 in the whole of the UK this year, woohooo. Thank you so much to all of you that supported me over the years and continue to do so, also to my wonderful team who worked so very hard and who continue to inspire and motivate me, without you I wouldn't have achieved all those things and I am forever grateful, THANK YOU all from the bottom of my heart. I will share some of the photos I managed to take during the evening, unfortunately my flash batteries died on me and didn't manage to take more piccies. Forty-two members of my team attended Convention this year. Don't they all look gorgeous and so happy? that's what Stampin'Up! does to you it puts a big smile on your face , I really cannot imagine a life without Stampin'Up! in it. I said it before on this blog and I will say it again, when I joined up nearly 3 years ago I didn't do so to earn any money from it, I simply joined to get the discount and earn some free stuff. Three years down the line and I developed my love of crafting into a successful business that earns me a good monthly income. 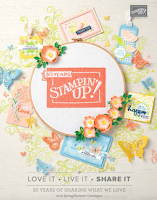 I invite to join me and our team and start your own stamping journey, Stampin'Up! 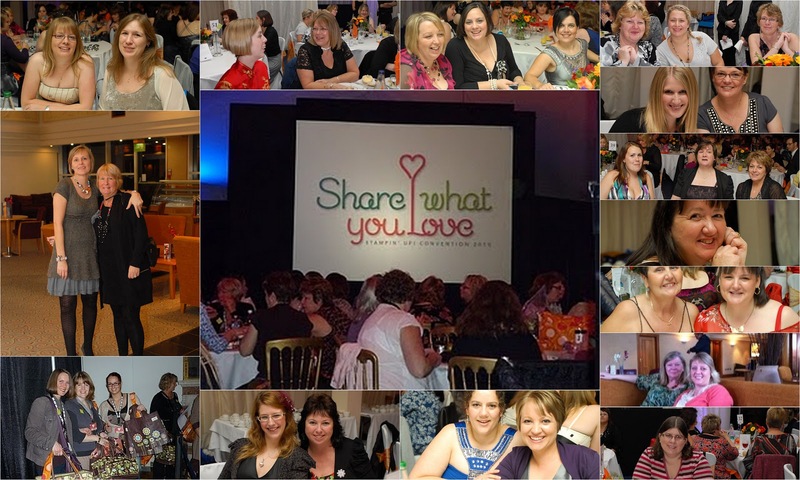 is like no other direct sales company out there, it builds relationships and strong friendships and that what my team are to me DEAR FRIENDS. I was so happy to watch other 3 members of my team walk across the stage collecting awards for either earning the Incentive Trip or for having took their business to the next level. My heart was filled with pride and joy watching them collecting their awards. (Black dress won in the end Jayne, LOL). I wore black taffeta (again) and I am happy to report that I was absolutely fine, no extra mopping was required LOL. I want to point out that I had my gorgeous necklace made for me by a very talented lady who I met thorough Blogland. Susie it was perfect, and exactly what I wanted thank you for help and patience, it sparkled like mad. Top 3 demo of the year next. Michelle Last came first, Amanda Fowler second and I came third. 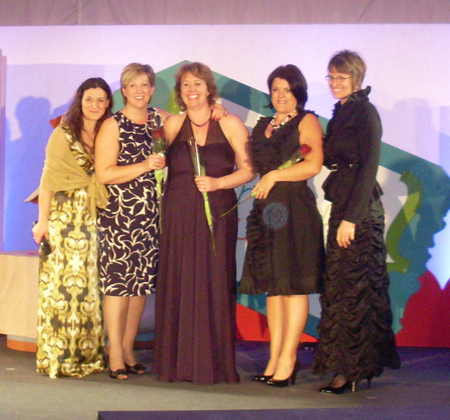 Also you can see Paula Gorry our Country Manager(left in the gold dress) and Shelli Gardner to the right of the photo. These two lovely ladies worked really hard this year, WELL DONE girls. This was a picture of the monitor as I was to far from the main stage to take any shots and my flash was dead at this point. Bekka is the most wonderful person, she helps and encourages every demo whether in her team or not she is wise, kind hearted and selfless, I am truly honoured to have her as my team mate and friend and I was ecstatic to see her achieve this wonderful recognition. She worked extremely hard and had an amazing year WELL DONE honey. I also want to mention Teresa Pocock another one of my team members who had a brilliant year and ranked at number 20, well done sweetheart what an achievement. A very well deserved round of applause ladies. I will share a funny picture taken after the awards. In the hotel lobby I met with a group of friendly demos from Germany, Ina one of the ladies had the most gorgeous curly hair and I was admiring it. Next thing I knew Ina went behind me and lifted her hair on top of my head while Tanja took this picture. 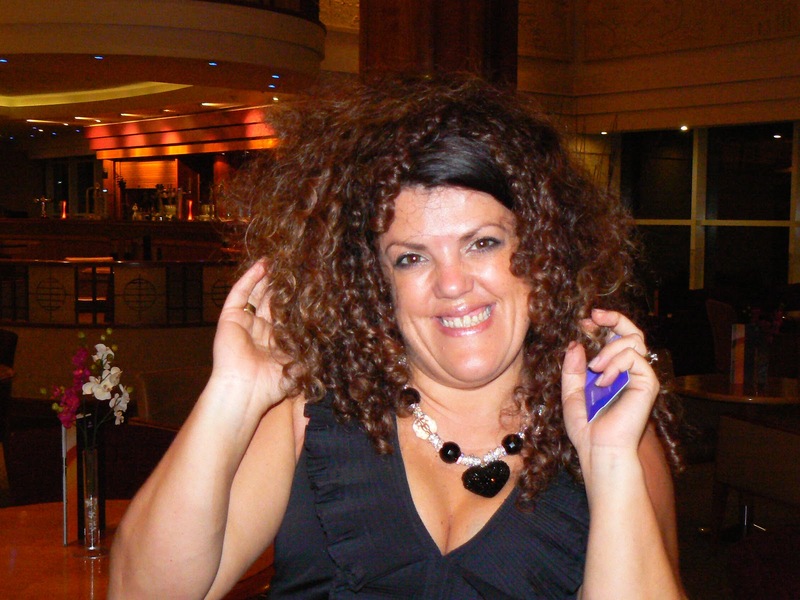 I now want curly hair... so much fun, thank you ladies. Lovely hair but I look demented with that silly grin all over my face hee hee. We wrapped up Convention with the news that our next year one is being held in Paris at the fabulous Disney World !!!!!!!!!!!!! O M G !! Think how much fun would that be? Want to be there? then you will want to find out more about becoming a demonstrator and joining my team of fun ladies! please get in touch with me at telemech01@aol.com for a no obligation chat. Worst case scenario you will get a lot of fab products you love at a really discounted price in your starter kit, best case scenario you will form relationships and friendships that will stay with you forever. With the release of the New Catalogue on 1st October there is a new starter kit at a fabulous £119 that you can fully customise and make your own by swapping stamp sets, inks and card colours to whatever you prefer. I would love to hear from you and see if this wonderful opportunity is for you or find out more HERE. J'espère que tu est t'es reposée et je te félicite pour tous les prix que tu as recu et que tu méritais. Lovely to meet you again - and wasn't Convention fabulous!!!????? Congratulations on all your achievements - you're an inspiration! I'm so happy to spend some wonderful days with you in Prague, soon. Wow Monica what an achievement from you and your gorgeous team!! You so deserve it as you are just so inspiring for me and many others to pop and adore your creations. Thanks also for sharing on the Stamp For Lara site as well, I belong in Mads team and it was so great for you to join us in blogland over in OZ. Glad you had such a fabby time at the convention and congrats on your, and your team's awards. 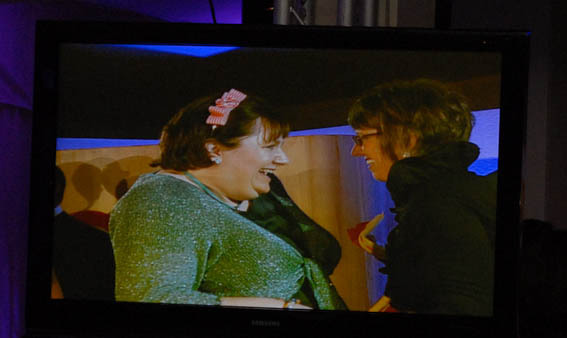 You looked gorgeous and I'm chuffed that you loved your sparkly necklace. so nice. I hope I see you next year in Disneyland Paris.